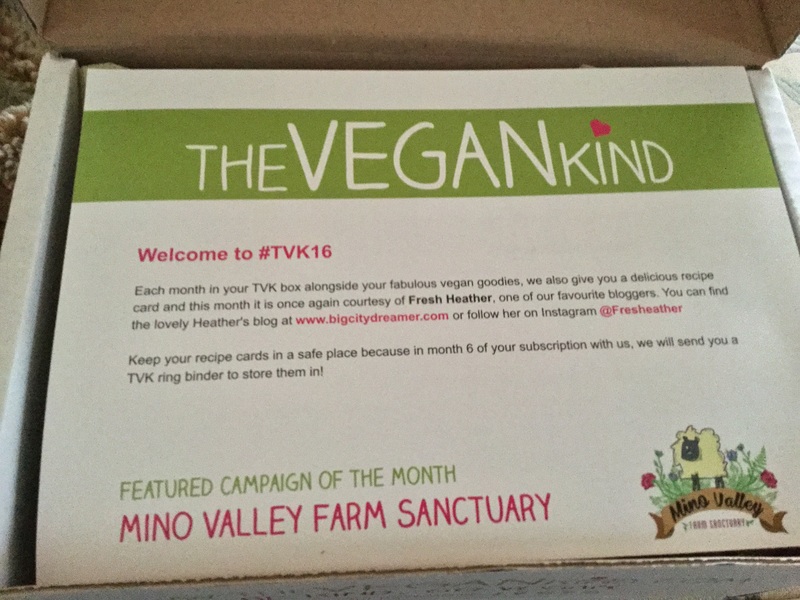 In this post I mentioned that I get a couple of vegan treat boxes delivered every month on a subscription. They are a great way of discovering new products, and ideas, and providing treats for the month ahead. if you’ve read my other review then you’ve probably spotted that there is rather more in the Flowbox offering, that box is more expensive than this one, I think they both offer reasonable value for money. There are a couple of items I’m particularly looking forward to trying in this box … See if you can guess from the picture … Got It? That’s right! 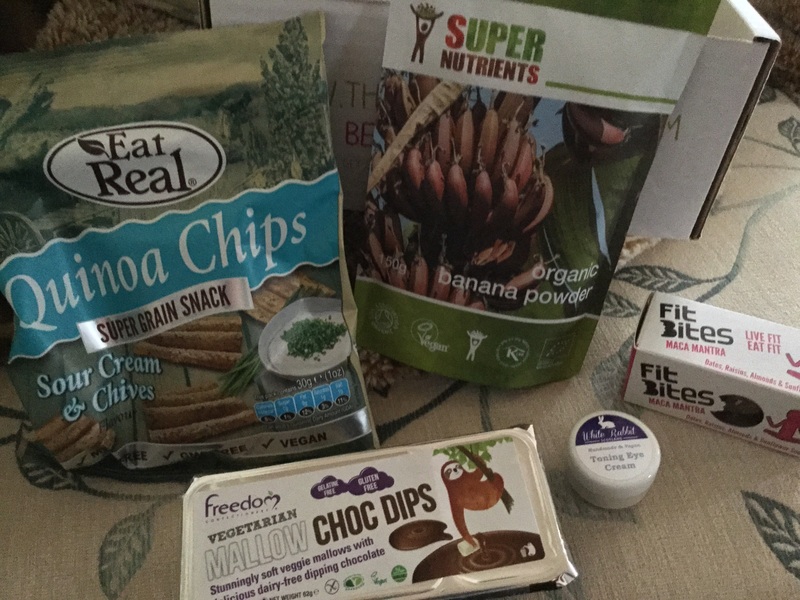 The Mallow Chocolate dips and the organic banana powder! I didn’t realise it was possible to powder a banana, but it gives a fascinating way of getting the flavour into dishes without a bananas distinct texture. The other item .. It’s thick chocolate sauce and marshmallows.. I really can’t say more than that! Let’s not give the other items short shrift though. There is a pack of Eat Real Sour cream and chives Quinoa Chips, I’ve tried these before and they make for a tasty snack. Next up is a Fit Bites Maca Mantra which is a mix of raisins, dates, prunes, almonds, figs, coconut, sunflower seeds and Macca powder. If you haven’t come across macca powder, it’s meant to have assorted health benefits, I found it similar to caffeine but without the associated headaches! Last but not least there is a pot of White Rabbit Toning Eye Cream, this box regularly includes a beauty product and they are usually fun to try. It’s a good mix again, and I’ll have to think what I can use the banana powder on!